The PolarForce Hiker is a cold weather work boot unlike any other. 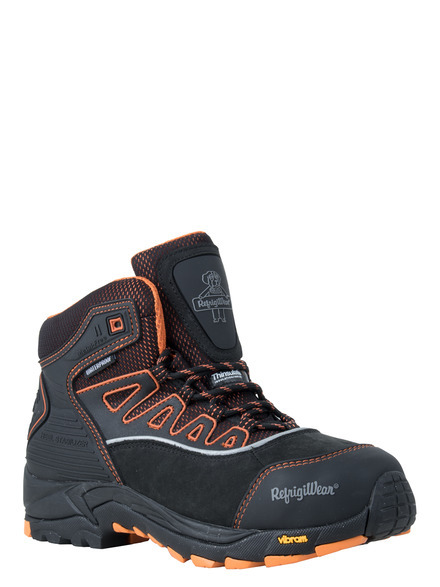 Get protection against the cold and against injury with this waterproof hiker-style boot featuring ultra-slip-resistant soles for maximum protection. Don't let clammy, aching feet be a distraction. 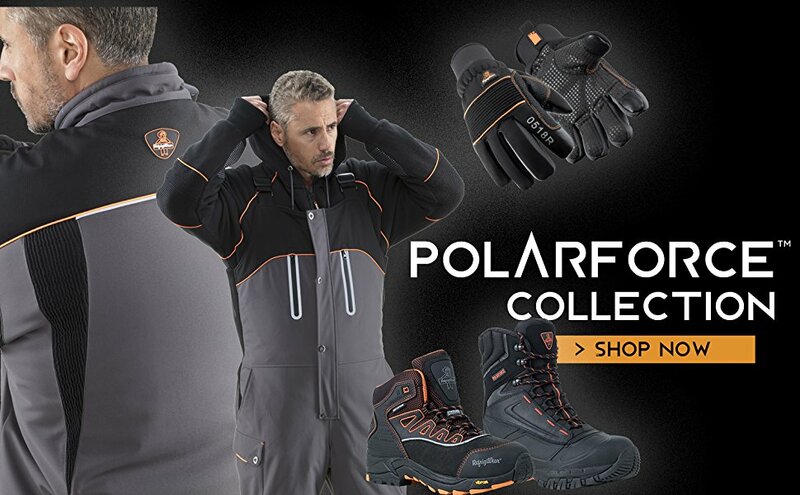 Stay warm and protected with PolarForce. Combining the popular hiker style with a multitude of features, the PolarForce™ Hiker is a versatile work boot great for a number of job functions. 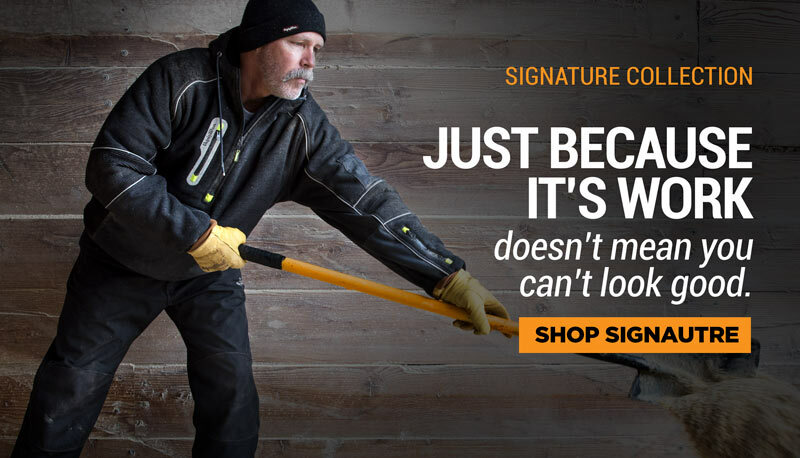 Keeps you dry and warm down to -30°F with 800g of Thinsulate™ Ultra insulation and a waterproof nylon/leather upper. 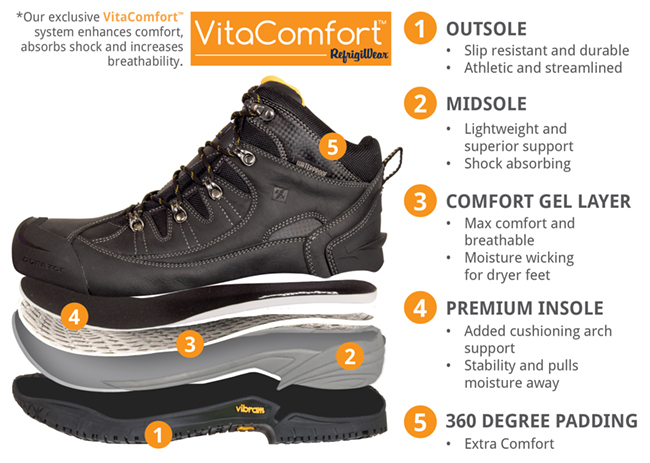 Fight foot fatigue and injury with the exclusive RefrigiWear VitaComfort system. 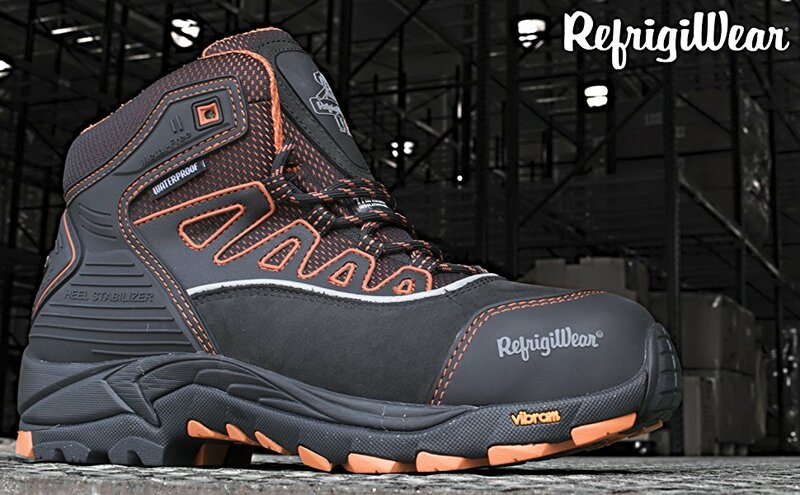 Tackle any job with the PolarForce™ Hiker. VitaComfort is an integrated system that enhances comfort and absorbs the shock your feet receive from walking on hard floors or just standing all day. With 5 key components working to provide you protection and support, VitaComfort™ provides needed relief from foot fatigue and pain .